In recent years, I’ve sometimes been stuck in lines at my bank that made me feel like time had stood still. Whenever this happens, I and other customers wait. And wait. And wait some more. Employees of my bank must have gotten wind of that crack. Eventually, they removed all clocks from the bank’s lobby, likely to ensure no one could be easily reminded of just how long he or she had to wait. But so far the bank hasn’t confiscated customers’ watches, cellphones, and other timepieces upon their stepping into line. Long waits in bank lines are just one of myriad complaints about today’s impersonal, corporately-bland financial institutions. Also irksome are the fee-crazy philosophies of many banks, the loan decisions made in ivory towers in Jakarta or Johannesburg, and the sheer impersonality of the banking experience these days. If you’re of a certain age, though, you may recall when visiting your local financial institution was a pleasure. You knew the folks at that neighborhood bank or savings and loan, and they knew you. You could talk with the friendly loan officer, or seek out the affable older lady who helped with savings accounts. What’s more, you came out of that neighborhood bank without feeling you’d lost most of your life savings to fees and other miscellaneous expenses. If you’re missing those old-fashioned banking values, you may be able to find them once more at your friendly local credit union. A credit union is a not-for-profit financial cooperative owned by its members. Credit unions usually offer the same products banks do, but they have a structural difference. Instead of funneling profits to stockholders, as banks do, credit unions pass their profits along to their owner members. That means they tend to offer consumers higher savings yields, lower average loan interest rates and lower and fewer fees. In other words, they’re a better deal than banks. I recently chatted with Mike Schenk, a Madison, Wisc. economist with the Washington, D.C.-based Credit Union National Association (CUNA), who gave me a vivid example of why credit unions are better deals than banks. At the time we talked, the average rate on a five-year new car loan at credit unions was 3.1 percent. At the same time, the average rate on a five-year new car loan at banks was 4.61 percent. Applying those rates to a $30, 000 car loan over five years, the average credit union member would save $250 per year, or $1, 225 over the five-year space of that loan, Schenk explained. Then there are fees. As most of us know too well, banks increasingly are invading our pants pockets via the highway robbery known as fees and expenses. But credit union fees tend to be much fewer and lower. That’s why consumers with fee fatigue are increasingly looking to credit unions as viable alternatives. A variety of surveys show credit union service greatly exceeds that of banks, Schenk says. “We tend to be smaller institutions, very community focused and able to keep our fingers on the pulse of what our members think and want from a financial and a service perspective, ” he reports. That’s not to say that being smaller and more traditional doesn’t carry some downsides, ones that may alienate some younger customers. Because they lack the scale of mega-banks, credit unions don’t tend to be the early adopters of new technology like mobile banking, McBride says. They also lack the personnel to stay niceties like 24-7 call centers. “But if you’re looking for a community bank feel, credit unions tend to be attractive, ” he adds. The answer is that that used to be the case. It’s not anymore. It’s now easy enough that during the first six months of March, 2012, credit union membership in the U.S. grew by 1.1 million, three times faster than normal. To find a credit union near you, visit CUNA’s website, www.asmarterchoice.org. 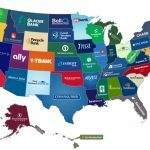 It’s also possible to access the National Association of Federal Credit Unions locator site, www.CULookup.com, to find a credit union in your area. Once you join a credit union, will you be favorably impressed by the rates and comparative lack of fees, and by the friendliness of the staff? Can Banks or Credit Unions Increase CD Early Withdrawal Penalties? Your article is so true of some smaller Credit Unions but my former employer, a large Credit Union, has forgotten the purpose of Credit Unions. After promoting our Credit Union for more than 30 years, I am so disappointed at the low dividends,high interest rates,loss of life insurance and added fees while many expensive offices are being built. Smaller banks in our area are paying more on CDs and checking accounts and providing more personal services. I am so disappointed that one of our best Credit Unions has definetly become more of a bank than a credit union. Jeffrey – thanks for this article on the advantages of doing business with credit unions. As a credit union executive and professional consultant/trainer, I can attest to the points you made in your write-up. 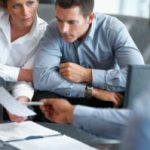 Several studies have shown that credit union members are much more loyal to and satisfied with their credit unions than bank customers are to their banks. It used to be that a person had to work for a specific company to join a credit union. It isn’t like that anymore. Now, virtually anyone can find a credit union that they can join. Visit http://www.asmarterchoice.org for information. When I was building my house pver 20 years ago I went to the bank for a 10000.00 construction loan I had pictures of how far I was along on construction and was going to use the 10 ackers and house as collertal. they wouldn’t give me a lone and I had banked with them for over 15 years. I imidately withdrew my money (25000.00) the manager met me and ask what was wrong I explained and said if I was rich I’d buy the bank and fire the loan officer. went to credit union and never looked back. they give a rebate on inst. you pay and inst. you earn which has been over 20% for years and they pay competive rates. I’m always a little surprised at stories about the problems people have with big banks. I can’t remember the last time I waited more than 5 minutes in line at my local Chase bank. My average wait time is probably less than a minute. I’ve never paid a fee. They’ve paid me a lot to use their credit cards. I’ve always been very happy with their customer service both in my branch and online. I like the idea that they have branches all over the place in case I need them. In my experience, it’s been easy to avoid paying fees, and it hasn’t been difficult to get good service. Apparently there are lots of people like the author who have been paying fees and accepting poor customer service for an extended period before finally doing something about it. I would have taken action sooner if I had been in that situation. Maybe its easier to write about personal finance if you start out bad at it and then get better. KT have you actually ran the numbers? I looked into switching to a credit union and it wasn’t a very good deal. 0.1% interest rate stinks, and isn’t significantly better than 0.01% at the banks. 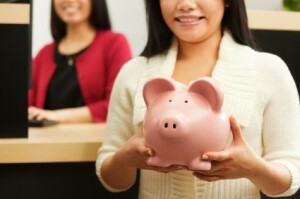 ING or Ally works better for savings accounts. Some credit unions have rewards checking where you can get a couple percent on you checking account balance, but even if you have the maximum that they will give you interest on my credit card rewards are a better deal. Rewards checking just means they have you spend all your money on your debit card and give you interest instead of points. So what you really need out of a bank or credit union is free checking, no BS fees, and branches and ATM’s where you need them. Pretty much any bank or CU can do that, so it really doesn’t matter, just pick the one that is in the most convenient location. I have had longer waits in credit unions than banks, so I’m not sure what banks you have been going to. With Ally for interest free atm withdrawals and ING for deposit by phone and super easy money transfers to or from any other account, I may never see the inside of a bank again. Couldn’t agree more. I switched from Wells Fargo to Apple Federal Credit Union in Northern Virginia last year and kicking myself for not doing it earlier. Later, I joined Alliant Credit Union in Chicago also, to take advantage of superior savings rates. Two observations. First, while some small credit unions may not be up to speed on online banking, most are. Apple FCU and Alliant definitely are, and I’m sure PenFed and Navy Fed are too. In fact, I find that Apple’s bill pay solution is superior to Wells Fargo in that they do not have a “float” period where the money for the payment is neither in your account nor at the payee. Their online banking system also integrated with Moneydance’s (and Quicken’s) OFX Direct Connect solution WITHOUT a monthly fee, unlike Wells. I simply do not understand why so many people, including a commenter above, believe that credit unions’ online banking solutions are primitive. They just aren’t. Second, don’t believe anyone who tells you banks have more branches and ATMs. More bank BS propaganda. Apple is part of the ATM network with machines in every 7-11 in the US, and Alliant is part of the network with machines in every Target store in the country. Plus, credit unions have “shared branches” where you can go to partner credit union branches and use them to make deposits, get cashier checks, and so on. Try that with a commercial bank sometime. Anyone who is still using a bank rather than a credit union for checking, savings, and loans is just throwing their money away, period. I have a credit union account with Navy Federal and they do great things for their customers while keeping fees low. I definitely prefer them over the brick and mortar banks like Wells Fargo *shudder*. They removed the clocks? That’s hilarious! I loved the article – great writing, Jeffrey! I had this warm feeling of right on! But then I realized we don’t bank at a credit union. Then I wondered: why doesn’t that bother me? Shouldn’t it? Thinking about it some more, I tried to recall when the last time was that I actually set foot in the local branch. Almost a year, that’s how long! We use a non-big name bank, so there are never lines at the local branch. And whenever we do go, the folks are friendly enough. It’s true, when I make my (annual) visit, the faces are always new – does banking have the highest turnover of any industry, or is that just my imagination? Hmmm… why am I not fired up to switch to a credit union? The realization finally hit me: 90% of our banking is done online. That means a bank’s online presence probably has become more important than their local branch presence. I suspect banks are more worried about ING than any credit union. And it could branch staffers know this. That can’t make them happy. I bet they don’t wear the warm fuzzy cloak of job security. Maybe that’s why there are new faces the few times I do visit the branch. Your point about the lower interest rate on the car loan is totally true, though. I should keep that in mind. But I don’t have a car loan, unfortunately. No, wait, make that fortunately!